Two-Day Explosive Power Swim Camp – Sign up for one or SAVE by signing up for both days! Did you know that the fastest that your swimmer is ever moving in a race is after the start and after every turn? On Saturday the curriculum will focus on explosive starts and powerful underwater dolphin kicking. Then on Sunday, participants will work on accelerating through every flip turn and open turn. Leading each session will be TWO Elite Clinicians! Olympic gold medalist Nick Thoman and National Champion Tim Phillips will both be in the water working with the swimmers to learn drills and skills for faster starts and turns. Scroll down to read more about the curriculum. There will be two sessions for swimmers ages 12 & over and two sessions for swimmers ages 11 & under. The camp is not recommended for swimmers with less than 2 years of competitive swimming experience and swimmers younger than 9 years old are not recommended for these camps without your coach’s recommendation. Click ‘Register Now’ to see session times. The start is your opportunity to cover as much ground as possible in a very short period of time, with great efficiency and momentum heading into your underwater kicking and breakout. There are countless intricacies to performing a start and you only get better with practice. Two of the most explosive swimmers of all time, Olympic gold medalists Tim Phillips and Nick Thoman, will share their experiences on how they found time to practice and improve their starts both in and out of the water and share some of their most effective strategies to execute this explosive and athletic movement. 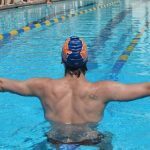 STARTS: How you set up on the block including proper hand and foot placement can allow your swimmer to explode forward with a lot of power. Tim and Nick will work with each swimmer to find their best position on the block as well as how to launch their body forward into a tight streamline and enter through a small hole. UNDERWATER DOLPHIN KICKING: The not-so-secret weapon of elite level swimmers is their underwater dolphin kick. Nick Thoman is known as one of the best underwater dolphin kickers in the world and he specializes in helping swimmers unlock their potential in this important skill. Most age group swimmers add in extra movements on their turns that slow them down and prevent them from carrying their momentum through the turn and into their streamline! Even at Olympic Trials we see many very fast swimmers who miss making finals and even the Olympic team because of the quality of their turns! The turn is an opportunity for a swimmer to actually GAIN MOMENTUM, when in fact most swimmers actually slow down. 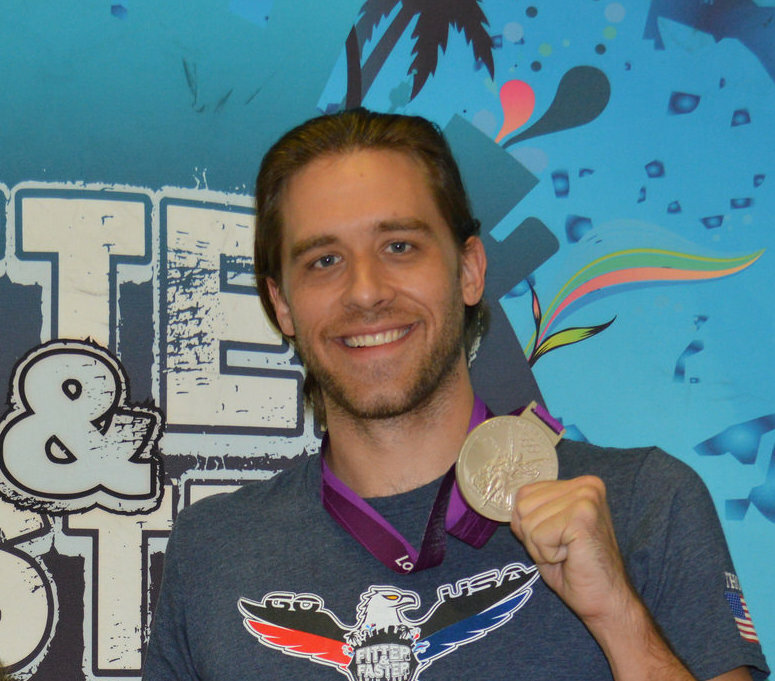 At both of these sessions, Olympic gold medalists Tim Phillips and Nick Thoman will work with each swimmer to improve their turns so that they can drop time! FLIP TURNS: Your swimmer will learn how to carry their momentum through the turn to get in and out of every wall faster. Swimmers will practice accelerating into the wall with long strokes and then using their core and arms to get through the turn. They'll practice planting their feet on the wall for a powerful pushoff in the perfect streamline. Tim and Nick will give the swimmers drills and exercises to help them master this athletic skill now as well as in the future! At each session of this elite series, swimmers and parents are invited to ask the Elite Clinicians questions during a Q&A session. Gain insight into their training regimen, diet and nutrition, and recovery tactics. Observe the clinicians at each session swim at full speed and demonstrate a progression of perfectly executed drills to achieve powerful, efficient and fast swimming. Swimmers will get to practice what they've learned by taking their stroke to top speed with some of the best swimmers and coaches in the world! They'll work on holding onto their form while challenging themselves. Take a photo with the clinicians, get autographs, and a gift from TYR Sport! Phillips is a member of the 2017 US National Team and he won a gold medal at the 2017 World Championships in Budapest! He is one of the fastest butterfliers in the world. He will teach swimmers how to achieve the most efficient and powerful turns, underwater, and butterfly strokes!